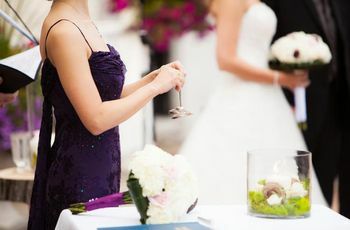 How to Choose a Wedding Officiant | Wedding Ideas ARE YOU A VENDOR? Hiring someone to officiate your marriage is an absolute must. Here’s how to find the man or lady who will make your union legal. Once you’ve made that first step of sending out save the dates you can move on to the nitty gritty parts of wedding planning. One line item you’ll definitely need to check off is finding an officiant - or another type of marriage commissioner - to perform your ceremony and sign off on your marriage license. While it’s easy enough to use your province’s government search engine to hunt one down, you’ll want to be happy with your choice. Remember, this is the person who will be standing up at that altar with you when you say your vows and exchange rings. Ready to get down to business? 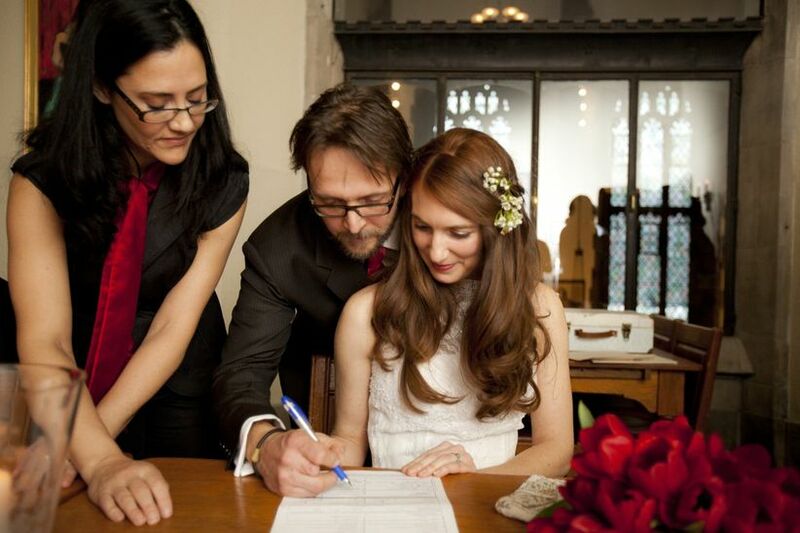 Let’s kick off the hunt for your perfect wedding officiant. Before you even start searching, figure out exactly who you’re looking for. 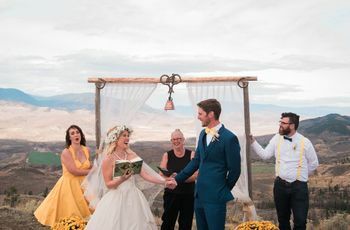 Different provinces have different rules when it comes to officiants and you’ll want to acquaint yourself with those sooner rather than later. You’ll want to check whether your province allows municipal clerks, judges, justices of the peace, celebrants, religious officials or registered marriage commissioners to preside over your ceremony. Some welcome all of these options while others only allow a select few. Once you’ve narrowed your search, you’ll want to meet with the officiant. If they’ve been a clergy member at your family’s place of worship since you were young, you may feel comfortable hiring them for your wedding within minutes. If this isn’t the case you’ll probably want to prep for a longer meeting where you can ask them important questions like “how long have you been performing ceremonies?” and "how much can we personalize our ceremony?". It’s important that you like the person’s approach and personality as they’ll be one of the star players in your wedding ceremony. 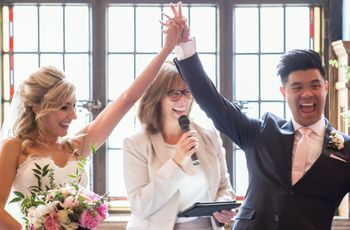 If you're looking for a truly one-of-a-kind wedding ceremony experience, a wedding celebrant offers a “full-service” approach and will help craft your ceremony structure, include meaningful rituals and aid you in penning your vows. Your marriage officiant may be able to meet for - or may request - a few counselling sessions before your big day. These are good opportunities to get to know one another and hash out a few of your wedding details. Hey, if you’re struggling, they can even help out with your vows. While you may want it to look like it’s out of a movie, you’ll want your ceremony to be unique to you. Give your officiant the backstory of your relationship and share what makes the two of you a great pair. This will help give your wedding a bit more personality and not sound like a script from every other union. Are there some things you’d rather leave out or switch up? Ask to see a copy of your officiant's script before the day of your ceremony. 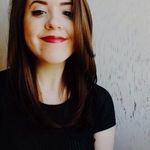 If you’re not religious, you may want to ask them to skip any biblical references or you may want to add in some more anecdotal words to personalize it even more. Just make sure you’re all on the same page before making your way to the altar.